Just be yourself, there is no one better. You are the outcome of hard work and effort. We may not have natural born talent, but that doesn’t define our accomplishments and how far we can go in life. We can spend days feeling sorry for ourselves because we feel like we aren’t as gifted as the people around us, but that isn’t going to do anything other than breaking us down. The fact is, if we want something, we must work for it and put in all that we have to achieve it. Nobody else around us really matters, and how fast they improve has nothing to do with us. We will never know what we can truly be, push your limits, it will not kill you! Make sure you know that nothing in this hard world is handed to you. You must work for it! When it seems like everything is falling apart, and nothing is going right; let your mind know that you believe in yourself. Nothing kills talent and great motivation. Lastly, never let us off easy. ‘The only person that you should try to be better than is the person you were yesterday’. You were not born a winner, and you were not born a loser. 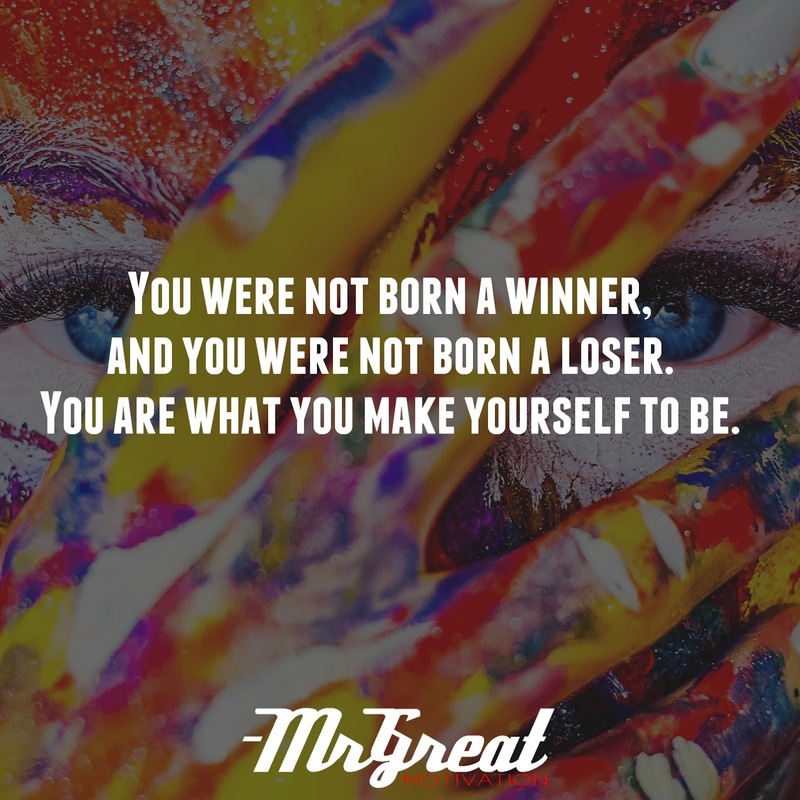 You are what you make yourself, so make yourself great!